What is the sailor’s full name? What was his date and place of birth? What job did the sailor do before joining the Navy? When did he join the Navy? How old was he when he joined up? How many ships and barracks did he serve in? What ship did he die on and when? 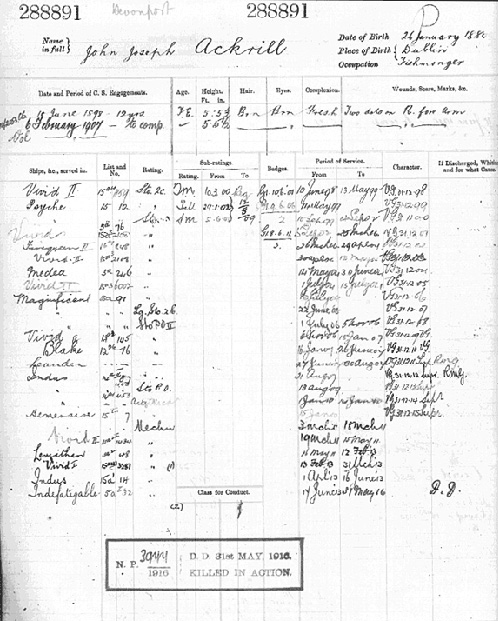 Does the service record give any information on why HMS Indefatigable sank?